That didn't take long. Less than a week after it came to light that Sesame Workshop, the people behind Sesame Street, had filed a lawsuit against STX over their upcoming R-rated puppet comedy The Happytime Murders, the case has been resolved. A judge has ruled in favor of STX, so The Happytime Murders can continue to use the tagline "All sesame. No street" in their marketing. According to a new report, a U.S. district judge has ruled that "Sesame Workshop hadn't demonstrated that moviegoers were confused or that sponsors or parents were complaining." The makers of Sesame Street had tried to argue that the use of the movie's tagline would harm the popular children's television show. 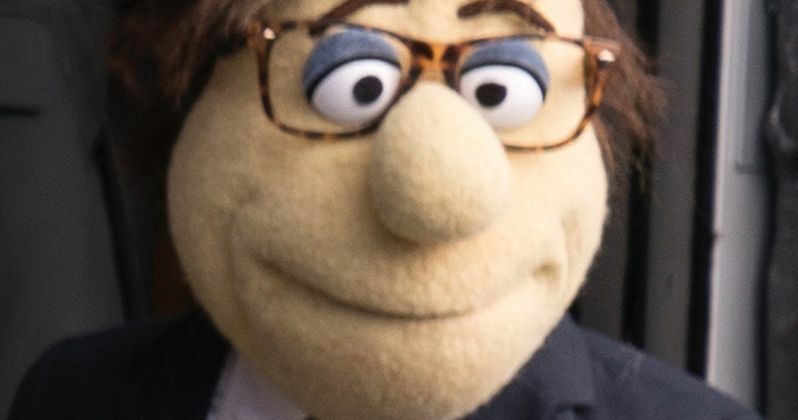 STX has responded to the ruling, via the The Happytime Murders puppet lawyer, Fred, Esq. Here's what STX, or rather Fred, had to say about it in a statement released via the company's official Twitter account. "We fluffing love Sesame Street and we're obviously very pleased that the ruling reinforced what STX's intention was from the very beginning, to honor the heritage of The Jim Henson Company's previous award-winning creations while drawing a clear distinction between any Muppets or Sesame Street characters and the new world Brian Henson and team created. We believe we accomplished that with the very straightforward no sesame, all street tagline. We look forward to continued happytimes as we prepare to release Happytime Murders this summer." This statement, more or less, is a "no hard feelings" kind of thing. Brian Henson, the son of Jim Henson, actually directed The Happytime Murders. Despite the fact that this movie is clearly a far cry from anything his father ever did with The Muppets or with The Jim Henson Company in general, it stands to reason that the man would want to honor his father's legacy. Even if that involves puppets doing drugs, committing murder and being involved in prostitution. When news of the lawsuit first broke, STX responded by revealing Fred Esq., with the fictional puppet lawyer releasing this statement on the matter that said, among other things, "While we're disappointed that Sesame Street does not share in the fun, we are confident in our legal position." That confidence turned out to be well-founded. Maybe STX can get Fred Esq. his own spin-off procedural courtroom drama? If STX had lost this lawsuit, it could have been costly as they would have had to remove the tagline from all of their marketing. That's a big plus, especially considering that the movie's first trailer has already racked up millions of views since arriving online a couple of weeks ago. While that certainly has a lot to do with the content, the tagline isn't hurting anything. Well, except maybe Big Bird's feelings. The Happytime Murders is set to arrive in theaters on August 17. You can check out the statement from STX for yourself below. This news comes to us courtesy of Hollywood Reporter.